The awareness about the relevance of personal financial planning in every individual’s life has grown manifold over the last few years. However, many of us are still not effective in creating a well-balanced personal finance portfolio that will take us toward our life goals and help plan a secured retired life. Many of us still put our complete trust in “safe” deposits and accounts – opting entirely for fixed deposits and bank accounts. A step further would be a life insurance plan, a home, and, yes, the ever-Indian favorite investment – gold! But is this mix enough? Not at all! What you need is a diversified portfolio when it comes to personal financial planning? What’s this diversified portfolio all about? What are the key pointers to create a robust and diversified financial portfolio that gives you a healthy risk in financial planning? Let’s find out! The golden rule of personal financial planning is to say no to placing all your money is just a select few investment options. It’s way too risky and it diminishes your chances of getting your best possible returns in the short and long term. Hence even if the equity market is not doing well, your investments do not take a disastrous turn when you have spread your money across multiple options such as cash, land, debt, or gold. Balance your risky, high-return investments, and finances locked in long-term investments with low-return, but low-risk and short-term investments that have high liquidity and can act as your emergency or backup funds. Yes, the core idea of a diversified portfolio is to minimize risk, but you can never say goodbye to risk when you plan your finances for lifelong safety. Some level of market fluctuation is definitely going to affect even your best laid plans. So do not try to play it overly safe by focusing only on government-based investments such as PPF and NSCs or debt options. Risk level and returns are often directly proportional. So the lower the risk, the lower the returns, which could reduce further after tax cuts. Of course, there’s also the inflation rate to consider. So set out a proportion of your money on growth-oriented investments such as mutual funds. Your age when you start thinking about and acting on financial planning is important too. The general assumption is that the younger you are, the greater your risk appetite is. Of course, that’s not always true; however, in your 20s you can definitely plan to allocate a significant percentage of your savings in high-return, higher-risk equity models of investments. The key is to assess the implications by taking the help of an expert investment advisor or financial advisory services. As you grow older, diversify your finances, but focus more on gathering a retirement corpus, emergency fund, and health investment, rather than increasing risk by allocating a significant percentage of finances to equity funds. Age and experience in the equity market are definitely factors to consider when it comes to surviving market volatility in this sector. Mutual funds, especially equity, are still considered by many as a financial instrument shrouded in mystery. Hence, there’s immense hesitation when it comes to selecting the right combination of mutual fund schemes. Consider exploring SIP and related tools that guide you with making the right selection of mutual fund schemes so your money is distributed wisely rather than a random bulk investment. Of course, it’s equally risky to go overboard with diversifying your investments when it comes to mutual funds. Create a healthy balance between equity and debt funds. Making an investment and not turning around until maturity is quite a dangerous approach. Regularly revisit all your investments and savings to assess the market status, availability of new investment options, and your own upcoming monetary requirements. Knowing where you stand financially is a critical essential in case of financial planning. Equally important is to build a clear knowledge of the current market status. A diversified portfolio is the most critical aspect of personal financial planning. We understand that making such important decisions can be tough for you since it requires a thorough knowledge about financial instruments and the financial market. That’s why you require the support of a robust financial advisory service. PrognoAdvisor is your trusted online financial planning service from India, with extensive expertise in understanding your specific financial and life goals and guiding you diversify your financial investments and plans with confidence. 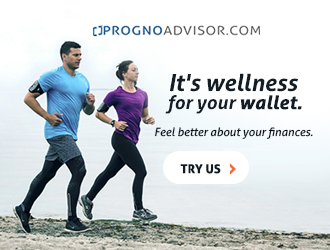 Connect with our financial advisors at Prognoadvisor.com to understand how you can simplify the entire process of personal financial planning.